Home > Blog & Resources > Defense > US Navy Launches Largest Destroyer Ever! Due to the government shutdown last month, the United States largest Naval Destroyer ever built the USS Zumwalt, was launched without fanfare last week. With its angular features and its carbon fiber superstructure the USS Zumwalt is the first in a new line of destroyer models. The USS Zumwalt (named after late Admiral Elmo “Bud” Zumwalt) is a massive naval vessel over 610 feet long, which also features a unique hull design that makes the ship nearly undetectable to radar. Designed for shore bombardment the ship is loaded with an “Advanced Gun System” capable of firing rocket-propelled warheads nearly 100 miles from their target. The ship line also features the most advanced computers and electronics on board, cutting the destroyers sailor staffing needs nearly in half. 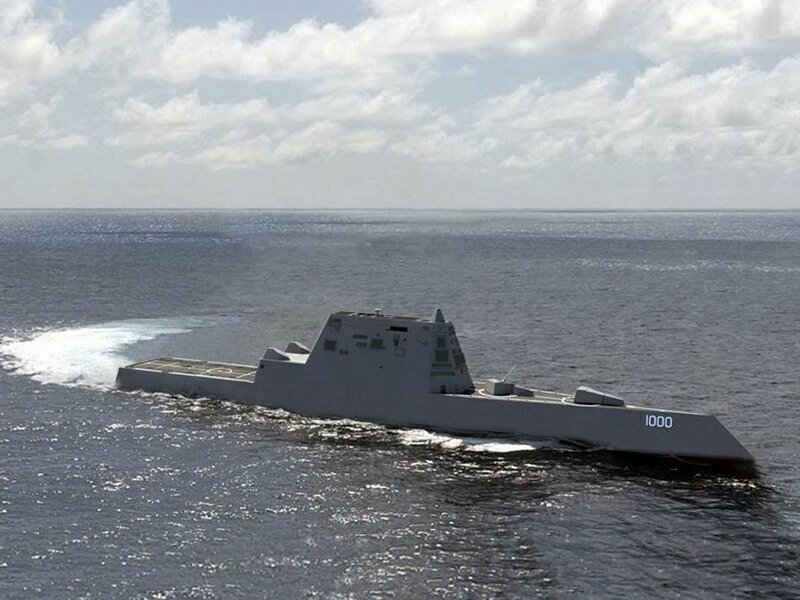 While the ships will not be formally handed over to the United States until 2015, the government contract with General Dynamics calls for two more of the vessel type to be placed into production.